Prior to launching American Pacific Mortgage, Kurt ran his own retail branch, Big Valley Mortgage, which is the largest, most successful branch in the company to this day. With the help of a top notch management team in both organizations, Kurt maintains an open door policy that keeps him connected to the originators’ and clients’ needs, while also staying in tune to the dynamic demands of the mortgage marketplace. Having acquired a degree in economics in 1980 and spending six years in a corporate role at Shell Oil Company, Kurt started his career in lending in 1986 with Cal Fed Bank. Shortly thereafter he joined a mid-sized mortgage banker as a Loan Officer in the burgeoning markets of Sacramento, CA. It was in one of its suburbs, Roseville, that he launched his retail branch Big Valley Mortgage in 1990. American Pacific Mortgage followed in 1996. Kurt’s path from producer to principal has uniquely prepared him for leadership in the mortgage industry. Being the father of three soccer loving boys, Kurt says that being a soccer coach for the last 15 years has taught him more about managing people than just about anything else. He is an avid mountain biker and former mountain bike racer, and enjoys working outdoors at his ranch in El Dorado County. 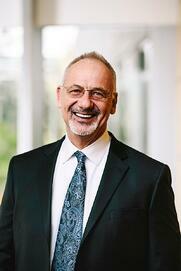 Bill began his career with American Pacific Mortgage (APM) in 2002. He has served as President since 2004, and became CEO in 2016. As CEO, Bill leverages over twenty-five years in the mortgage industry to better serve the customers and employees of the APM family. He offers a wealth of knowledge and expertise in the areas of mortgage banking leadership, organizational, and cultural development. Bill drives APM’s Strategic Plan which includes production, operational efficiency, and preserving the APM culture. He is responsible for the overall financial performance of the company and oversees the senior management team of APM. Bill sets the example of the company’s position of ownership and embraces APM’s values of Respect, Transparency, and Scrappy by living those values daily. Bill is an active member of both the Mortgage Bankers Association and the California Mortgage Bankers Association. 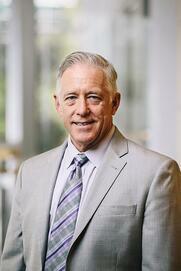 Bill serves on the MBA Independent Mortgage Bankers Executive Council and is Co-Chairman of the IMB Network. He is a Board Member of the California Mortgage Bankers Association and is the Chairman of the 2016 Western Secondary Marketing Committee. Bill also serves on the Freddie Mac Independent Mortgage Bankers Advisory Board. Internally for APM, Bill sits on the Board of APMCares. APMCares is a charitable entity which provides financial assistance to our APM families in times of need, and community outreach programs focused on delivering housing opportunities and homeownership in America. Bill holds a Bachelor of Science degree in Business Administration with a concentration on Finance from State University of New York at Fredonia. At his core, David is a champion for loan originators, ensuring quality service and efficiency along every step of the way. He founded American Pacific Mortgage with Kurt Reisig in 1996 as Principal and Chief Operating Officer. He still oversees many aspects of operations, including more than 1,500 employees and over 170 branches in 14 states. He also coordinates departmental interaction and issues policies and procedures for all American Pacific Mortgage staff and affiliate branch operations. Prior to working with American Pacific Mortgage, David worked his way up the corporate ladder from a Loan Officer to Second Vice President and Branch Manager for the Occidental Mortgage Corporation in Southern California. In 1994, he migrated to Northern California where he began working with Kurt Reisig at Central Pacific Mortgage as co-Branch Manager. Gloria joined American Pacific Mortgage in 2015 as Chief Compliance Officer, after many years’ experience in several areas of the mortgage lending industry. Her expertise has ranged in production to compliance, but her concentration for the past 25 years has solely been on managing and directing regulatory compliance for national mortgage banking operations. In addition, Gloria has authored numerous fair lending, consumer protection and regulatory compliance training programs and has consulted with lenders to develop their own fair lending training and monitoring programs. Gloria has become the go-to industry expert on both a local and national level. As a Toastmaster, Gloria is highly sought after by lending institutions, regulatory agencies, REALTOR® and lender trade groups, to provide presentations, workshops, and training on RESPA, ECOA, HMDA, and fair lending guidelines. Gloria was honored in 2017-2018 as an inductee into the VIP Woman of the Year Circle for the National Association of Professional Women (NAPW). National Mortgage Professional Magazine also recognized Gloria as one of Mortgage Banking’s Most Powerful Women 2018. Gloria currently is a member of the American Association of Residential Mortgage Regulators (“AARMR”), the Mortgage Bankers Association (“MBA”), California Mortgage Bankers Association (“CMBA”), and serves on the MBA State Legislative and Regulatory Compliance and Fraud Committees. 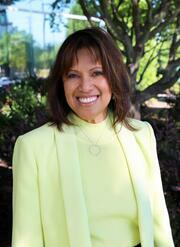 Gloria is past President of Dallas North Toastmasters and Founding President of Richardson Toastmasters. 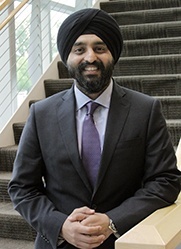 Prateek joined American Pacific Mortgage in 2017 as Chief Financial Officer. With nearly 20 years of experience in the mortgage banking industry, Prateek has substantial expertise in debt and equity capital raising, M&A activity and overall corporate finance. Prateek has been a featured speaker at several MBA conferences on topics ranging from maximizing profitability and how to create sustainable operations through technology and software automation. National Mortgage Magazine recognized Prateek as one of the forty most influential mortgage professionals under forty in 2018. Prateek oversees all areas of finance, accounting, treasury and payroll. He works with senior leadership to serve as a valuable strategic partner to APM and all of its branches to grow APM’s lending platform. People and culture, even in a finance setting, are the most important ingredients for success to Prateek. Prior to joining APM, Prateek was the CFO at Skyline Financial, and led the spinout of Cloudvirga to deliver on the promise of the digital mortgage. Prateek also served as the Treasurer at Prospect Mortgage. Prateek grew up in Burbank, California and did his undergraduate at UCLA and his MBA at Pepperdine University. Keith joined American Pacific Mortgage in 2013 as Senior Vice President of Strategic Initiatives and took on the role of Chief Operating Officer in 2016. He has 35 years of experience in Mortgage Banking including roles as COO of a top five subprime mortgage servicer and SVP of Consumer Lending Operations for a major super regional bank. 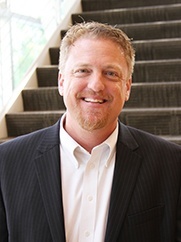 As a member of the executive team at American Pacific Mortgage, Keith is responsible for technology operations including infrastructure, program management, strategic initiatives and change management. Keith is also responsible for Internal Audit, Vendor Management, Interim Servicing and Subservicer oversight. Chito joined American Pacific Mortgage in 2009 and shortly thereafter, she was brought on full-time as Executive Vice President of Capital Markets. In her role, she oversees all elements of pricing, loans and selling of American Pacific Mortgage Loans. Chito has a true passion for the mortgage industry and excels at building relationships, both at the investor and agency levels. She has demonstrated and keen ability to develop innovative solutions for producers that make her an exceptional asset to American Pacific Mortgage. National Mortgage Professional Magazine also recognized Chito as one of Mortgage Banking’s Most Powerful Women 2018. Ned joined American Pacific Mortgage in 2010 to lead the company’s growing Mortgage Banking Operations. With more than 20 years of management experience in the mortgage industry in both production and operations, Ned has created an outstanding work environment for both corporate and branch staff. He believes strongly in delivering a world-class service to branches, originators and their clients. Before coming to American Pacific Mortgage, he was Senior Vice President of Retail Banking for Pacific Mercantile Bank in Costa Mesa, CA and before that he spent 7 years with IndyMac Bank as Regional Vice President for Northern California. In 2018 APM was fortunate to be able to transition Ned’s leadership towards production. Leading the Enterprise Retail Channel, Ned oversees the departments and teams that help our branches thrive. With a “Solutions First” mentality, APM’s production team puts our branches first, strengthening our market position with healthy branches and strategic growth. Ned enjoys time with his wife Debbie and coaching their two middle-school aged children in multiple sports. He grew up in the Upper Peninsula of Michigan and holds a BA degree from Sacramento State University. Melissa Wright joined American Pacific Mortgage in April 2015 and has been responsible for leading the corporate retail channel. Recently promoted as EVP, she will work in tandem with Ned Payant to care for the production of APM, as well as focused strategies for growth and expansion. Prior to joining APM she was formally the President of Axiom Financial, a company she co-built in 1996. She was responsible for the company’s growth, culture, mission, strategy, operations, compliance and overall performance for over 18 years. With the sale to PHH, she also oversaw an initiative to integrate marketing nationwide and has a passion for enhancing many brands’ distinctive identity and market position. Melissa is a motivated leader with strong interpersonal skills and expertise in building loyal, high performing teams. As a result, she has been recognized as a 7-time winner Best of State and 100 Most Influential Mortgage Executives in America. She believes her highest priority is to care for the company’s core purpose and values, driving excellence, high-performance and service through the organization; which ultimately translates into strong reputation, devoted employees and loyal business associates. 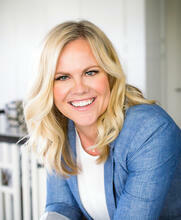 Melissa grew up in Mesa, Arizona and holds a Bachelor of Science degree from Brigham Young University. Matt joined American Pacific Mortgage shortly after it was founded in 1996 by Kurt Reisig and David Mack. Prior to joining American Pacific Mortgage, he spent over 15 years as Chief Financial Officer. Matt now oversees corporate services which include facilities of technology for over 170 locations and over 1,500 people. As a member of the executive management team, Matt brings knowledge and experience to his roleand is committed to the culture of providing superlative customer service. 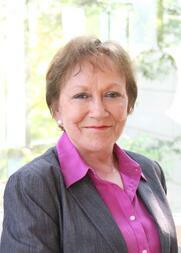 Ms. Buschman joined American Pacific Mortgage in the role of Vice President, Information Services, in January 2014. Ms. Buschman is responsible for the overall daily operations of all APM infrastructure, systems, and software; supporting the organization at a nationwide level. Ms. Bushman comes to American Pacific Mortgage with a diverse range of skills and experiences spanning 22 years in the mortgage finance industry, having held leadership roles in operations and in technology. Ms Buschman has extensive experience in business process design and development, software design, development and implementation, system integrations, vendor management, project management, infrastructure design, and business relationship management. Prior to joining American Pacific Mortgage, Ms. Buschman has held various leadership positions with Accenture Mortgage Cadence, Lenders Processing Services, NuView Financial Services, MOS Group, and IMX, Inc. While at IMX, Inc. Ms. Bushman spearheaded the development of several cutting-edge technology solutions that generated historical revenue amounts for the company. Ms. Buschman also navigated the company through a successful patent infringement case. Originally a resident of Silicon Valley, Ms. Buschman attended CSUH, where she received her Bachelor’s Degree. 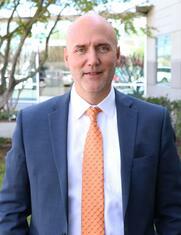 Dan re-joined American Pacific Mortgage as Vice President of Human Resources in March 2013. 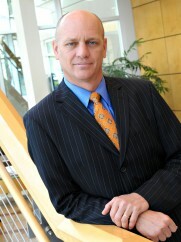 He served as Executive and Business Coach to American Pacific Mortgage from 2002- 2008. Dan leads the Human Resources department for the company and leads the HR team in recruiting, training, workforce planning, employee relations, compensation and benefits. He brings over 25 years of experience in HR and has worked in a variety of leadership positions for organizations such as Nike, T-Mobile, PG&E, Macy’s and the Oregon Department of Justice. Dan received his bachelor’s degree from Willamette University and a Master’s Degree in Human Resource Management from University of Oregon. He is an active member of the Society of Human Resource Management. Chuck has served as Human Resources and Compensation Risk Manager as well as General Counsel to American Pacific Mortgage since 2003. His responsibilities include all aspects of business relationship, including compliance and regulatory matters, risk management, personnel counseling, and direct involvement in all APM litigation matters. He is a member APM’s Senior Management Team and admitted to practice before all the state and federal courts in California. 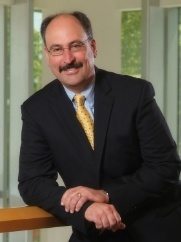 As a civil litigator, trial attorney and legal advisor, Chuck has represented corporate clients in matters ranging from employment and general business litigation discrimination and sexual harassment defense and prevention, unfair competition, copyright and trademark disputes, and various other business related legal claims/defenses. 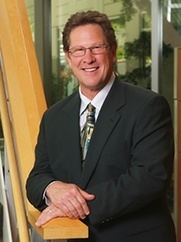 Chuck has successfully represented private and public sector entities before state and federal courts , the California State Personnel Board (SPB), Industrial Welfare Commission (IWC), Equal Employment Opportunity commission (EEOC), the Department of Fair Employment and Housing (DFEH) and the Department of Housing and Urban Development (HUD). Chuck graduated with honors with a degree in Political Science from the University of Davis and received his law degree from the McGeorge School of Law, University of the Pacific, and graduated in the top 5% of the graduating class. He is the recipient of the American Jurisprudence and Corpus Juris Secundum awards for Legal Excellence. 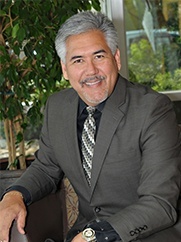 He is currently and active member of the Mortgage Bankers Association, California Mortgage Banking Association, Order of the Coif (National Honor Society), and the Traynor Honor Society (Sacramento Legal Society).